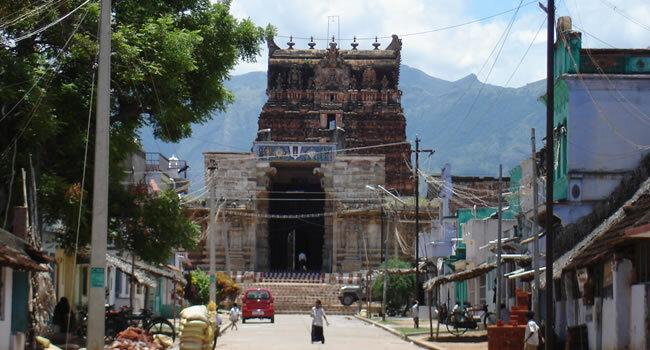 Thirukkurungudi Sri Nindra Nambi Perumal Temple is one of the 108 Divya Desams of Lord Vishnu is situated in Tirunelveli district in Tamil Nadu. 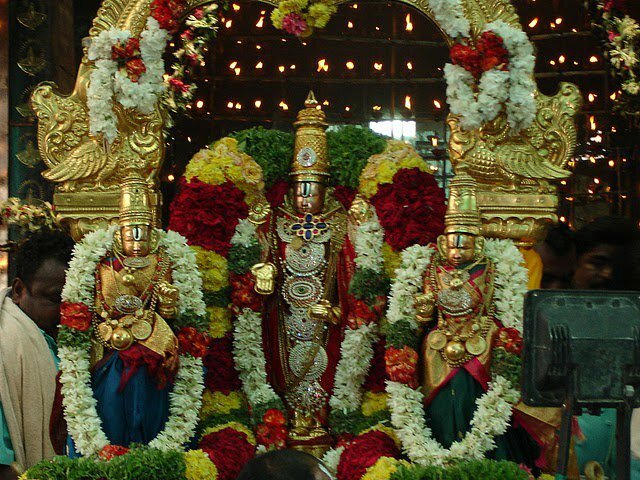 This kurungudi sthalam is also called as "Vaamana kshetram" who is one of the avatharam of Sriman Narayanan, born in Puratasi month. 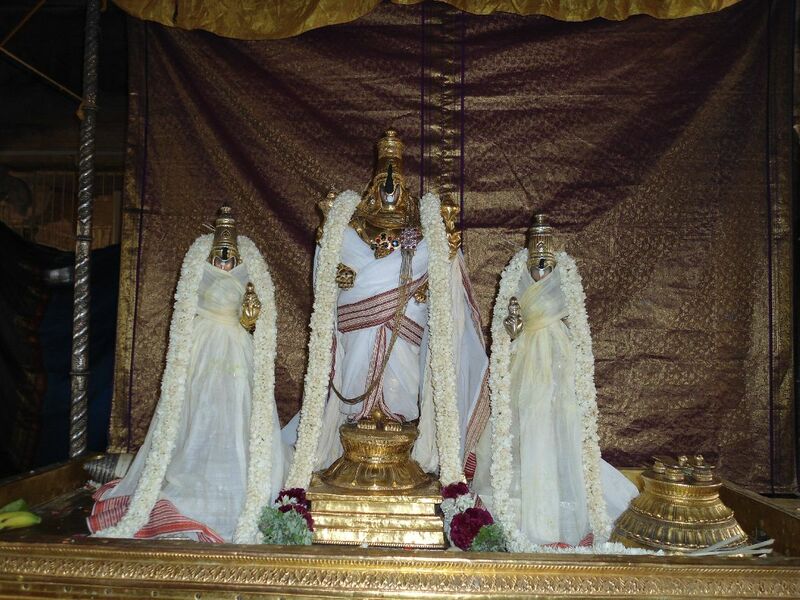 Sukla patsham in Sravana Thuvadasi for Kaasyabha Maharishi and Athithi. The dhavadasi in which he was born is Vijaya dhavadasi. He was taught the Savithri Mantram by Suryan and Vyazha Guru Bragaspathi taught him the Brahma Soothiram. Since , Vaamanar was born to the Maharishi, his clothes and all the activities was same as how a rishi should be. He got the Dharbai from his father, Kaashyaba Maharishi Bhoomi (or) earth gave krishna Aasanam, Chandran gave him the Thandi, (Which is used as a support for the hand), Athithi gave Koupeenam (Clothes) devan gave the Kamandalam, some vessels given by Guberan and Bharadhwaja Maharishi was his Guru and taught him all the vedas. Parasakthi gave him food with her Thirukkaram (hand) when he begged for food. Inspite of taking the thirivikraman - ulagalandha perumal Kolam, Vaamanar is giving his seva as a short muni in this sthalam. Because of this, this sthalam is called as "Kurungudi". When Siva peruman got his brahmagathi dosham by plucking the head of Brahma devan, came to this sthalam and as advised by the Nindra Nambi, to get out of the dosham, he begged from Kurungudi Valli Thaayar for Amudham (food) to get out of the dosham as pabha Vimocchanam. And after this, he learnt the Sudharsana Japam from Vaamanar and got completly out of the Dosham. By this sthala perumal's Kurungudi Nambis seva only, Nammalvar born to his mother, Udaya Nangai. Thirumangai alwar got his Mukthi (attained paramapadham) in this sthalam and as a memory of this, a small temple is constructed with the name "Thirumangai Alwar Thiru varasu" in the banks of the river, which is towards the east direction of the temple. "Nambu" means believe and "Nambi" means believed by all. As the name of the perumal, Nindra Nambi, he is believed and devoted by all the bhaktaas. Like Narayanan who gives his seva in Nindra, Kidantha and Irundha thirukkolam, Siva perumaan also gives his seva as Siva linga Swaroopan in Nindra Kolam as a dancing person. Thirukkayilai and as Thiruthaandava Kolam as a dancing person. Like the same way, Siva perumaan when came to meet and get the dharshan of Nambi perumal, he met him and got the Vimochan of the pabham. As a result of this, a separate sannadhi for Lord Shivan as "Magendranadhar", who is found inbetween Kidantha Nambi and Iruntha Nambi perumal sannadhi. 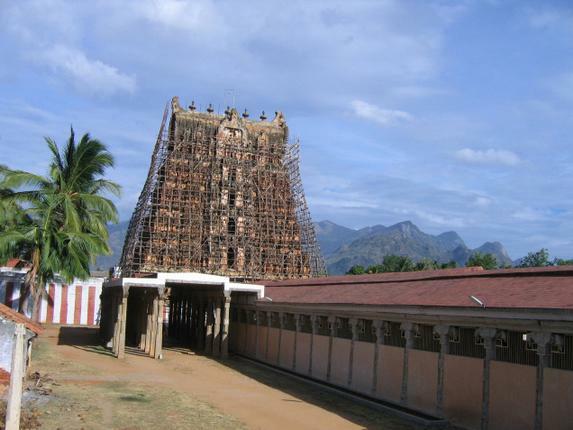 Sri Nindra Nambi Temple is located at the place of Thirukurungudi in ThirunelVeli District.Sri Nindra Nambi Perumal Temple is Dedicated to Lord Vishnu.The prasaadham (food) which is done the Naivedhyam (offered) for the perumal is offered for Lord shiva of this temple. On entering the temple, a big Mattaiyadi Mandapam is found and we can also see another Mandapam, Nadhi Mandapam. After crossing, the kodi maram is found, with lots of rare sculptures in it. Next to the mandapam, we find the sannadhi of Manavala Maamunigal. An hanging bell can be found in Kulasekara Mandapam which is offered by a king of Thiruvidhangodu to the Nambi perumal. Moolavar Nindra Nambi is also named as "Pari pooranan" and found along with two pirattiyaars, Maarkandeya Maharishi and Brighu Maharishi in Nindra kola seva.Next to him, we can find the Vainava Nambi, the utsavar along with two pirattis, Neela Devi and Kurungudi valli thaayar. The Moolvar of this Divyadesam is Sri Nindra Nambi. Also called as Kurungudi Nambi, Irundha Nambi, Kidantha Nambi, Vaishnava Nambi, Thiruppaarkadal Nambi and Malaimel Nambi. Moolavar in Nindra Thirukkolam giving his seva and facing his thirumugam in east direction. Prathyaksham for Lord Shivan. Thaayar: Kurungudi valli Naachiyaar. Two separate sannadhi for two pirattis. 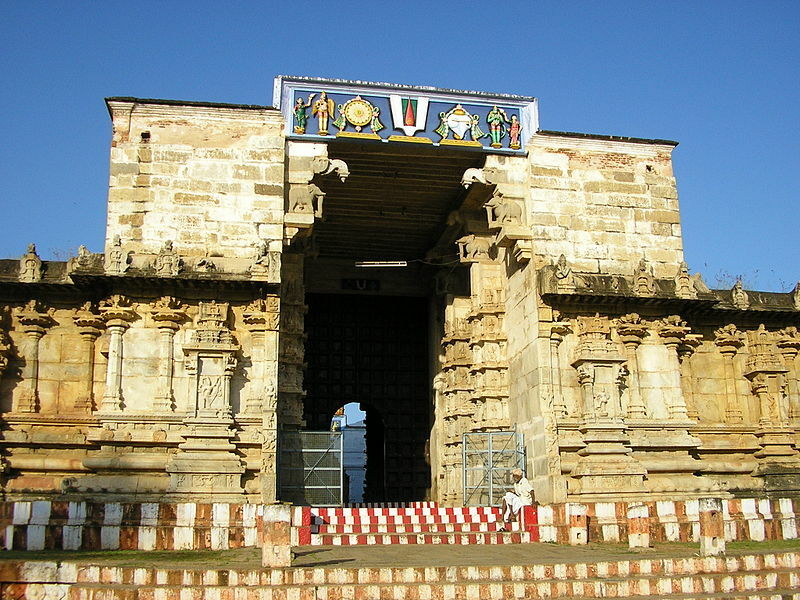 Ahobilam temple - Allagadda, Kurnool, Andhra Pra..
Gajendra Varadha Temple Kabisthalam, Thanjavur ,T..